An active weekend dedicated to the discovery of an unusual side of northern Sardinia, where you can find the alternation of the color of the sea and the scent of the mountain without a break. Views ranging to 360 ° between the inland and the wild coast, along many dirt routes that you can discover riding our bikes. A comfortable hotel, where there is also a swimming pool, will offer the right relax at the end of each stage, thus creating a chance of vacation for the whole family. The excellent food, the view, the medieval village, will complete the scene of an unmissable experience. Welcoming participants and transfer to Castelsardo for the hotel accommodation. Presentation of the guide and briefing for the planned program. First step towards the mountains of the Gallura with several panoramic views of the Golfo of Asinara and Corsica. Exciting excursions up to the peak elevation, of over 1,350 meters, of Monte Limbara. Return in the afternoon to the coast at the hotel in Castelsardo. It completely changes scenario with a short transfer that will take us to the North-West coast. 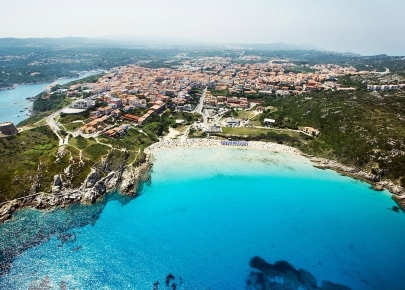 From Stintino we can arrive to the mining hamlet of Argentiera with a long path mainly coastal. Still following the sea, we can discover the “Riviera del Corallo” with the magnificent views of Porto Conte and Aghero’s Bay. The day ends with the return to Castelsardo. The third stage consists entirely in the inland, along paths outlined first by gently rolling hills, cultivated fields, farms, rural hamlets. From the mountains, you can admire a beautiful landscape of Lago Coghinas, near which we pass to continue towards Pattada, a village known for the traditional handcrafted knife. Return conclusive in Castelsardo. Motorent tours are all organised with touristic guide, expert in the proposed routes.